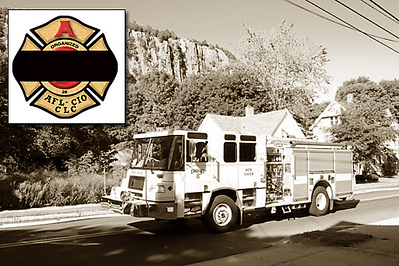 It is with deepest regret and sorrow to report the line-of-duty of Fire Fighter Patrick J. Reardon of IAFF Local 825 - New Haven, Connecticut. Brother Reardon, 42, passed away on Tuesday, April 21, 2009 from a fall. The wake will be held on Sunday, April 26, 2009 from 2:00 to 7:00 p.m. at the Monahan, Cox, Smith & Crimmins Funeral Home, 11 Wooster Place, New Haven, Connecticut 06510, (203) 865-6147. The funeral will be held on Monday, April 27, 2009 at 10:00 a.m. at St. Lawrence Church, 207 Main Street, West Haven, Connecticut 06516. The staging area for uniformed personnel will be at the Yale Bowl lot "C", New Haven, Connecticut. Buses will be transporting from staging area to funeral and back to your vehicles. Expressions of sympathy or condolences can be sent to Local 825 at P.O. Box 613, New Haven, CT 06513-0613.